Numbers that tell the weight and length of a little girl who had weight in this world. 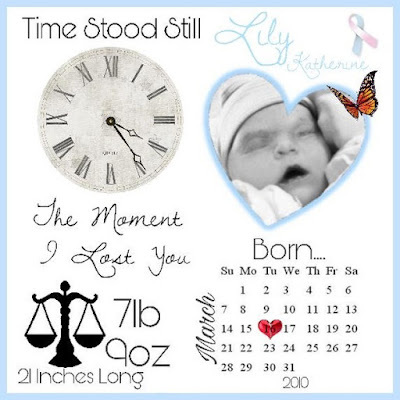 Time that tells the time of birth of a real little girl who was really born and is truly loved. A date that holds the memory of the hugs, kisses, and snuggles that would need to last a lifetime. Numbers, dates, and time mean much more than they may seem. They are cherished in my heart and can never be changed or taken away. They tell the story of a life. They tell the story of an unending and unceasing love. They tell the story of my motherhood. What are the dates, numbers, and times for you?